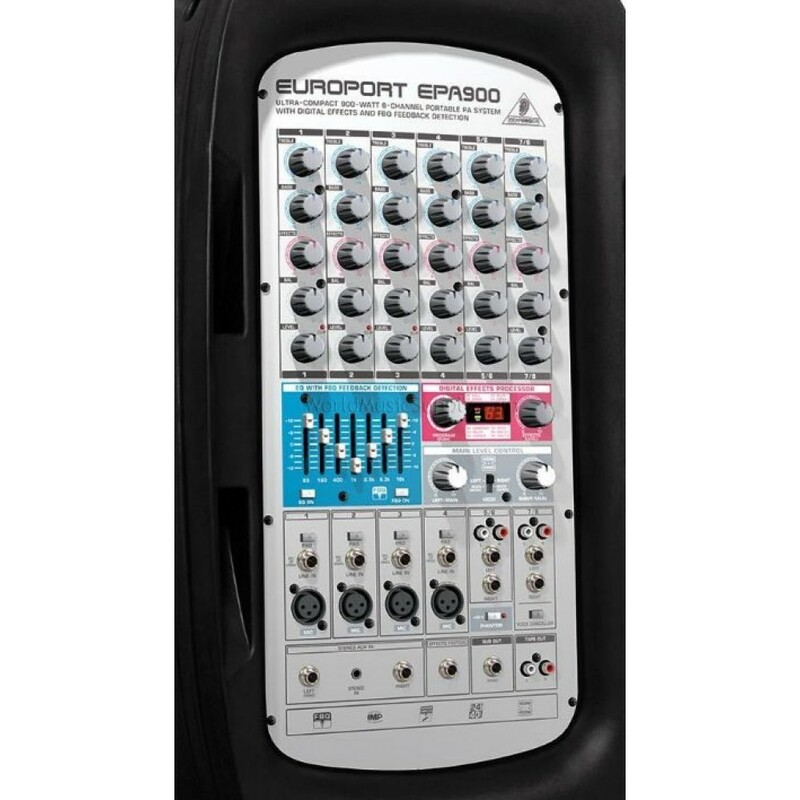 The EUROPORT EPA900 PA system is a complete sound reinforcement system, tucked away in a small suitcase for ease of transportation, but giving you 900 Watts of massive power to make your music mobile and your event fly. 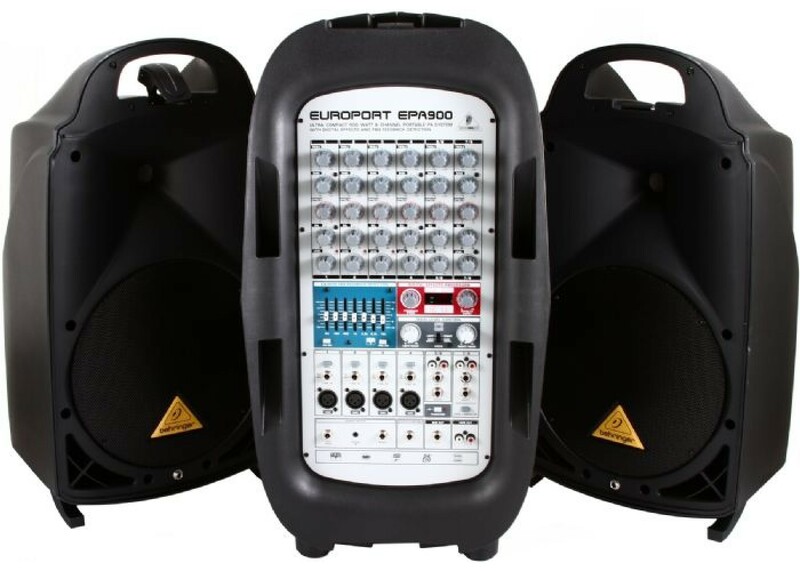 This portable PA system meets the highest expectations of demanding musicians and speakers on the move, delivering unheard-of power and high-quality sound performance in a lightweight housing. Use it at gyms, conferences and training centers. 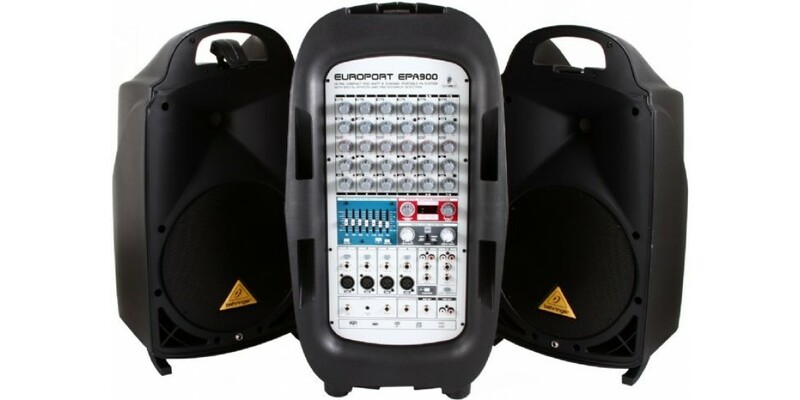 Included are 2 speakers with 900 Watts of stereo power, featuring 10" woofers and 1.25" compression drivers, an FX processor and our popular FBQ Feedback Detection system. 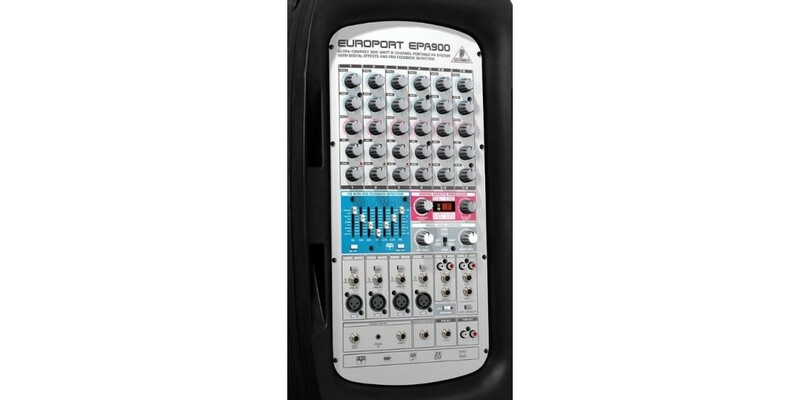 The 8-channel mixer section consists of 4 mono and 2 stereo channels plus separate CD inputs.